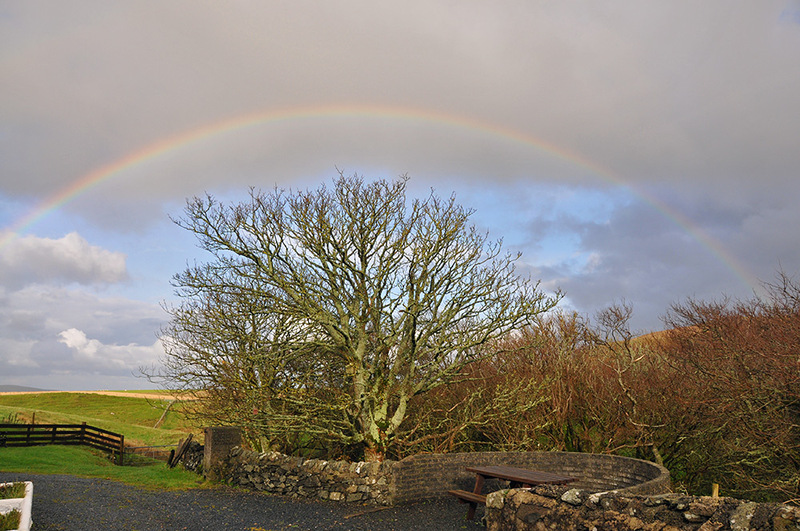 A view at Kilchoman House cottages, a full rainbow above a tree as the sun breaks through after some rain moves away. This entry was posted in Cloudy Weather, Landscape, Repost and tagged Islay, Kilchoman, rainbow, Rhinns of Islay by Armin Grewe. Bookmark the permalink.